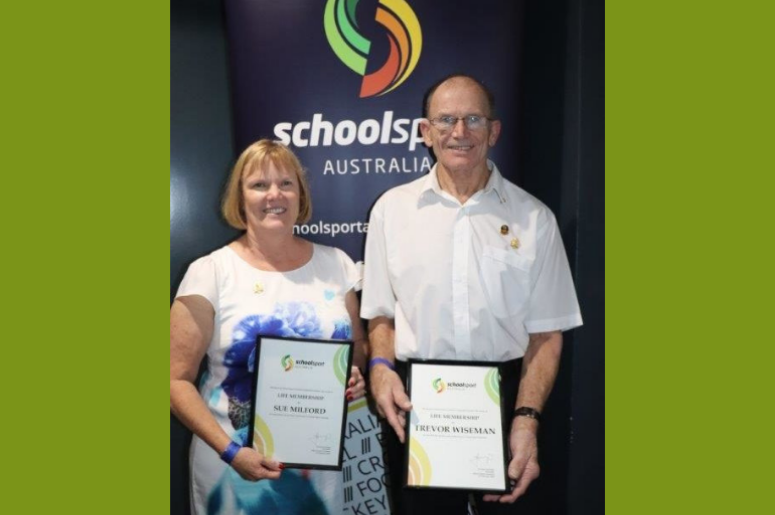 Trevor Wiseman OAM, of SA – Cross Country and Susan Milford of NSW – Diving were recently awarded a Life Membership of School Sport Australia for their outstanding contribution and service to school sport in Australia at the SSA Conference 2019 held in Darwin, NT in February. A Life Membership Award is a recognition of those who have shown long term commitment towards the improvement and attendance of sports offered in schools at a national level across Australia. Trevor has a long history within School Sport Australia and is currently the National Cross Country Advisor. Sue has contributed for many years in the growth and development of Diving in School Sport Australia and has shown a huge interest in forwarding the talents of Australia’s young divers. Sue is currently the National Diving Advisor. Congratulations Trevor and Susan in winning this award!